Gone are the days when enterprises utilized a single vendor or just one type of technology within their infrastructures. Recent innovations and advancements have caused a shift toward hybrid IT, where businesses leverage a mix of hardware and software systems alongside different avenues for connectivity. According to a recent report from Research and Markets, the global hybrid cloud market is set for considerable growth in the coming years as more organizations utilize this type of technology. Researchers predicted that the hybrid cloud market will expand from its 2014 value of $25.28 billion to $84.67 billion by 2019. However, the cloud is not the only area where companies are increasingly turning to hybrid architectures. Gartner recently recommended the use of a hybrid WAN in a 2014 report to optimize traffic flow and improve application performance. This isn’t the first time Gartner has shifted its focus toward hybrid technology. Back in late 2013, the research organization predicted that by the end of 2017, more than half of all large enterprises would have hybrid cloud deployments in place. RightScale’s 2015 State of the Cloud Survey showed that the industry has surpassed the estimate, with an estimated 82 percent of enterprises having a hybrid strategy in place in 2015, and 74 percent utilizing hybrid systems last year. The report also underlined the continued importance of MPLS, which is still in use across many enterprises today. Although some are calling for the retirement of this connectivity technology, Gartner noted that MPLS remains an important component within the hybrid WAN. In fact, the report recommended that enterprises establish a WAN that has the ability to optimize traffic flow for all users and applications across both Internet and MPLS lines, especially when MPLS was already in place. One of the main challenges addressed in the report is enterprises’ need for branch office connectivity. In today’s corporate environment, businesses connectivity requirements have become increasingly complex, demanding more than a single, private MPLS WAN to connect branch offices to the main data center. As a result of these factors is the evolution of enterprise WAN connectivity, where needs develop according to the specific project at hand, causing the use of several solutions. These can include Internet to offload MPLS, mobile broadband that connects to the Internet as well as public cloud services for application accessibility. However, as the number of solutions increases, it becomes increasingly difficult to manage the network, especially on an ad-hoc basis. Hybrid WANs leverage all available connectivity links, including both Internet and MPLS. “Because of the highly distributed nature of many enterprises and the source of the applications they employ, traffic must be able to flow freely across a hybrid network,” the report stated. “Both end users and applications will be connected to either the Internet or MPLS, and this means that traffic may stay within the Internet, stay within MPLS or flow between the two networks.”In order to resolve these issues and ensure the best possible application performance, a hybrid WAN that incorporates both the Internet and MPLS is required. Hybrid WAN structures have become the new normal for a number of reasons, including offering improved application performance through the most optimal use of bandwidth. Today’s enterprise employees shouldn’t have to deal with slow, jittery applications that don’t properly support their needs. 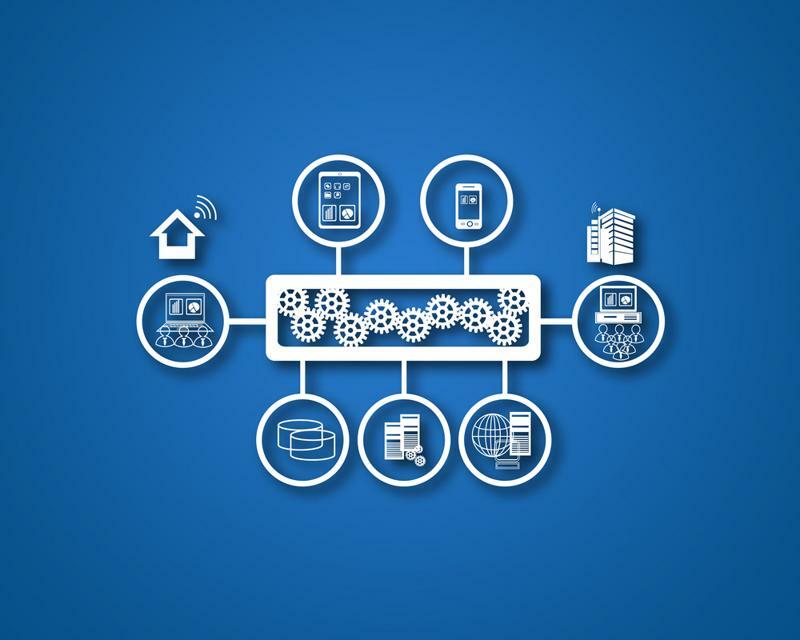 A hybrid WAN can help ensure that the best path is taken across the network, whether that means utilizing an Internet connection or MPLS line. A hybrid WAN is also beneficial in the event of an outage. Should one source of connectivity fail, the system can transfer traffic to other active lines to keep data flowing and maintain application functionality. Hybrid WANs also offer the opportunity to use less expensive bandwidth sources to support the network. For instance, broadband links like DSL, cable and Ethernet – which are often considerably less costly than proprietary MPLS and can provide a considerable amount of bandwidth – can be inexpensively added to the network. This not only saves money, but also prevents the business from having to add MPLS capacity, saving funds now and into the future.